UPDATEs: Typhoon Ruby "Hagupit" intensifies and threatens Eastern Visayas. 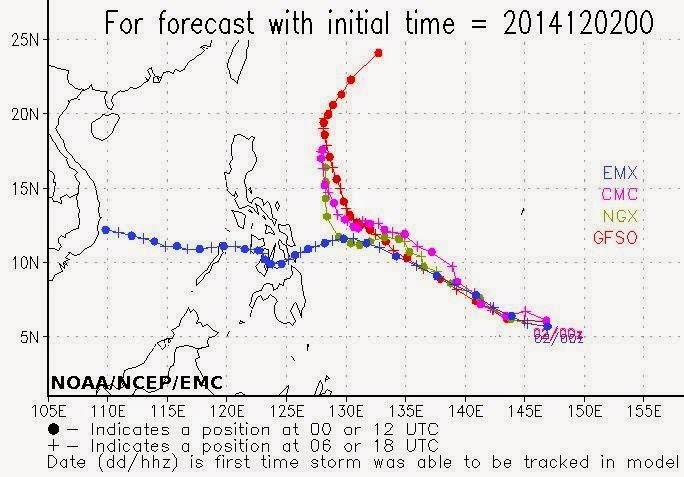 Strong typhoon Ruby may and will landfall this December 7, 2014 in Eastern Visayas if not change direction. An image forecasts of Ruby shows the strong typhoon may hit Cebu and Central Visayas Province. Hagupit (Ruby) now has 160kph of Wind and gustness upto 194kph as of Dec. 3, 2014. Images posted came from different international and official websites of USNAVY, Western Pacific Weather and PAG-ASA.